Composer, conductor Joseph S DeBeasi, has been praised for his blend of creative electronic sounds and traditional instrumentation. His use of melody and harmonic subtext embody the heart of his musical storytelling. His recent concert, Sinfonia: Connecting Arts & the Community, was an evening of music honoring past and present miltary members. He featured the world premier of The American Sniper Suite and a commissioned piece, One More Minute, performed by the Imperial Symphony Orchestra. His film scores include the original underscore for Clint Eastwood’s Oscar-nominated, American Sniper, the award-winning feature documentary, Kidnapped for Christ and his most recent work, Alpha directed by Albert Hughes, for which he is co-composer. Joseph is also known for his work as a music editor on more than 60 feature films, including Wind River, The Revenant, Sicario, Prisoners, and Book of Eli. In 2015, Joseph received a BMI Film Music Award for his score on American Sniper. His score for Judges won Best Soundtrack at the Miami International Sci-fi Film Festival in 2016. 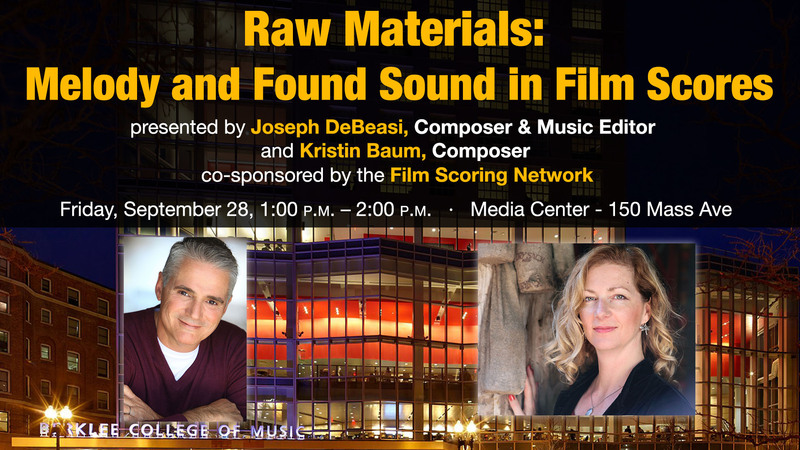 Joseph has given seminars on film music at Southeastern University, Club Cubase at Belmont University, Nashville, TN, Heartland Film Festival and Nashville Composers Association. He is an honors graduate of film composition from Berklee College of Music. Kristen Baum is a Sundance Fellow (Feature Film Composers’ Lab) and a classically trained pianist with a master of music in theory and composition. Kristen has worked on Christopher Young’s music team on several films, including Untraceable, When in Rome, Priest and The Uninvited. She scored 35+ projects, including feature scores for the dramedy As High as the Sky, thriller Assassins and the documentary The Wave I Ride. While Kristen is passionate about fantasy film scores, she is frequently called on to create scores for dramas, thrillers and stories with supernatural elements. Her other credits include a source cue in The Book of Eli. This project used to be a task. For background information, check the task ✓ [Converted to project] Generic EVENT template to duplicate.